Games are very different from other types of mobile apps. They have very distinct technical and operational challenges which necessitate specialized logging. In this post, I’ll examine the unique challenges games face and provide nine logging tips that will help increase the uptime of your game. How Are Games Different from Other Apps? Unlike many other apps, games don’t provide a necessary service: They strictly provide entertainment value. Thus, to convert a new user into a long-term customer, you must continually engage them. If you succeed in engaging users, the numbers show that they do become loyal. However, in the mobile market, many excellent games made by huge developers rule the charts and user expectations are very high, which makes it essential that the developer provide not only a fun experience but also a bug-free, uninterrupted one. These factors make it very hard to keep your game close to 100% uptime, but at the same time overcoming them is critical to providing an engaging experience. The following logging tips give you ways to effectively monitor your app and maximize uptime. Crashes, server downtime, and software errors (even if they are non-fatal) can significantly lower your 30-day retention rates for your newest users and hurt engagement and spending among your whales and other engaged users. Logging is not meant to be your analytics platform; however, from an operations perspective, it is wise to know how users are using your system and where errors occur. Therefore, you should log key events (and metadata relevant to those events) within your game loop. Errors can be triggered by certain event chains that some users trigger more frequently than others. Your players will be diverse, so you could have new users experiencing triggering errors in tutorials or have whales using game functionality that’s breaking frequently. Thus, when you receive a log, you want to know which kind of players you’re dealing with and the gameplay environment variables relevant to your log message that will help you determine what is happening if an error occurs. Both client and server game functionality is central to most games’ operation. You want to be sure that you’ve set service-level agreements for the response times and error thresholds that are acceptable in these communications and set alerts for them. If you’re using HTTP or TCP, you can measure the response time metric. If you’re using UDP or an asynchronous communication model, it is wise to measure the Completion Time Metric. In games, users are constantly changing the state of the game world. Thus a majority or significant minority of the requests made to the server involve updating or retrieving database state. You want to make sure that you’re measuring how long your database queries are taking and how those queries are affecting your overall response times. Third-party services that can cause significant decreases in performance: Some integrations (rendering or networking libraries) are far more likely to slow things down than others (analytics). If you are using a service that can cause significant slowness in your client or server, log it. Ads: It is important to log the behavior of your ad integrations (if you have them) because they display frequent interstitial graphics and interactive components on your users’ screens. If these fail, they can cause errors or crashes. Log ad display success, ad loading time, and any error or crashes associated with ads. Payment providers: Monitor transaction success of any third-party payment provider you use. Along with transaction success, monitor the error codes associated with payment failure and any relevant metadata to provide information on the environment in which the transaction took place and the user who attempted it. When a game launches, it often has to load a lot of new assets, game state data, and interactive components. Issues at this point can cause games to either load slowly or crash completely, so you want to be measuring the times it takes your primary resources to load and be sure to capture any exceptions that occur. After your releases, you want to measure your key data points to see if there have been any negative changes, or if you are applying a fix, to ensure it’s been successful. 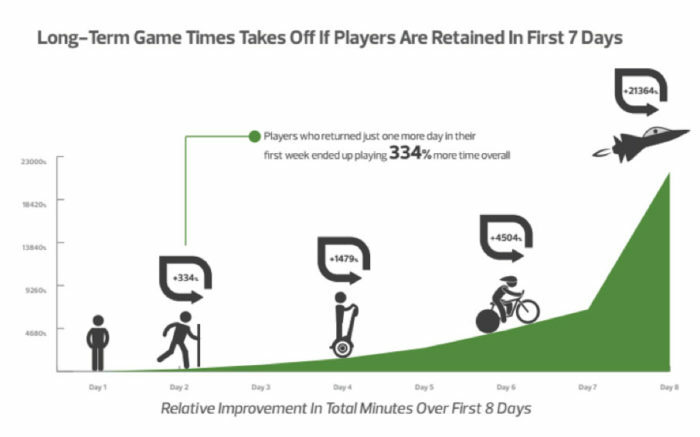 When live games start seeing heavy growth of active users, operational challenges can overwhelm you if you’re not ready. With good logging tools and good game-specific logging practices in place, you will be much better equipped to support this growth. Loggly has a free trial. If you’re already an experienced game programmer or live operations professional, you can get started immediately. You may also want to check out our Corona SDK and Unity integration tutorials now.